The updated USDA guidelines on food groups and healthful eating are displayed in a graphic novel format. The facts presented help kids make good food choices. 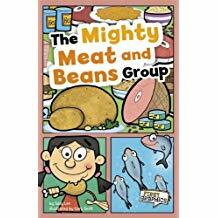 These books are a fun way to encourage healthy eating habits in young children. 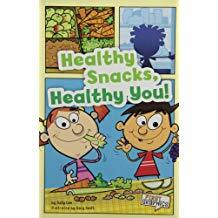 Entertaining pictures show how snacks can be part of the new Healthy Plate program. Suggestions are made for snacks that fit into each of the major food groups. Protein helps build strong bodies. Colorful pictures show where protein comes from and offer suggestions for including high protein foods in meals and snacks. Dairy products are good sources of calcium and protein. 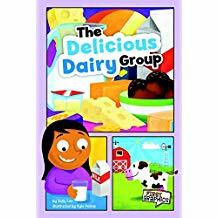 This book shows where dairy products come from and what they do to help build strong bodies. Suggestions are made for wise food choices.